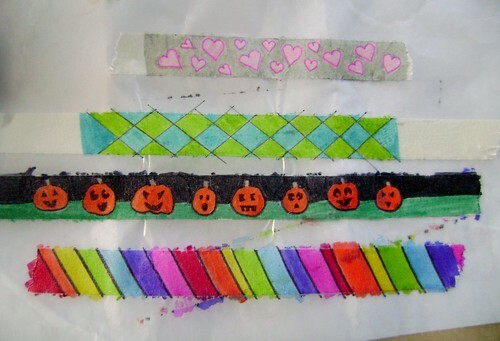 Washi Tape Can Be Better? I wanted my planner spread to have more of a sea life feel to it. I have decorative edge scissors and figured I’d give this idea a try. I cut a bit of my dark blue washi tape and applied it to some waxed paper. I used my fancy schmancy edged scissors to cut the tape and waxed paper. 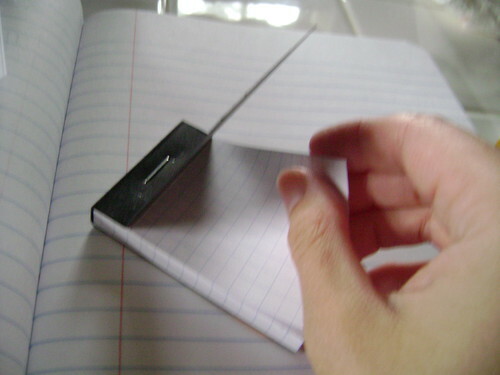 I peeled off the tape after cutting and stuck it into my planner. Ta Da! I’m looking forward to using this method to decorate more planner spreads in the future. Have you done this before or will you be trying this in the future? I collect things. Odds and ends. Bits and bobbles. Ephemera. Miscellaneous things that catch my eye for one reason or another. I’ve found that keeping them in a bag makes keeping tabs on them a lot easier. Also, I think my partner in residence would agree it keeps things neater. Granted I still find ways to clutter up the clean. It’s a gift. I enjoy sipping tea. It is liquid comfort in a cup. My addiction can be blamed on my father and grandmother. I can’t remember a visit with my Nani without my Papa bringing her a mug full of hot tea. Since my change in employment, I find myself digging in my tea stash for the perfect blend to match my mood. I keep some of my tea tags. I sometimes stick them in my journal but lately I was fubbling with a few ideas and this one seemed so obvious but I had never done it before nor have I seen evidence of it being used by others. I give you TEA TAG TABS! I dug out a few tea tags from my bag of goodies. 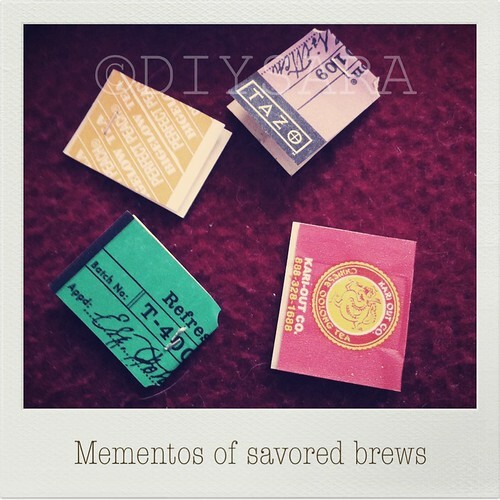 Tazo tea tags are particularly lovely. The Bigelow are colorful and very nice also. Occasionally I’ll sip tea with my China Buffet meals. Who doesn’t love dragons? 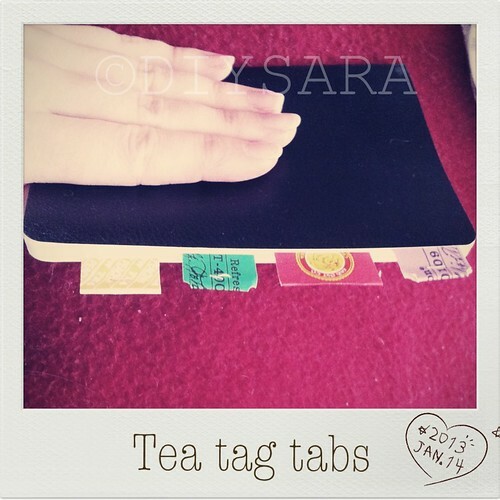 TEA TAG TABS! Will you use this idea? What will you be gluing tea tag tabs into? I’d love to hear your ideas – feel free to comment (as always). Finally. 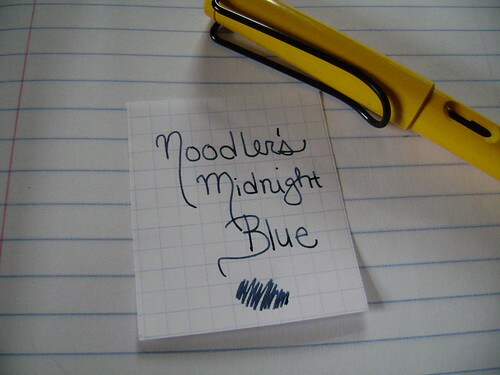 After many moons, I completed a redesign for this blog. I started when I got diysara.com and attempted to do coding but all the craziness broke my brain. This was pretty quick and easy – thank the heavens! 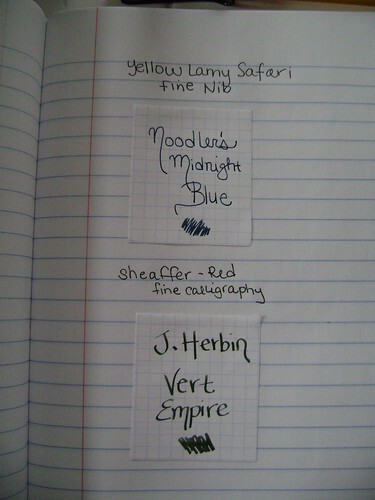 I love graph paper, security envelopes and hand-lettering. 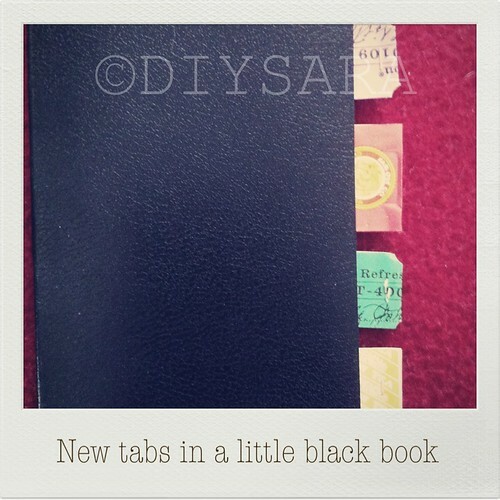 Welcome to the new DIYSara.com: Miscellaneous Ramblings of a DIYer! I would love to hear your thoughts so please leave a comment. I’ve been so exhausted and fallen out of my posting daily routine. My apologies. 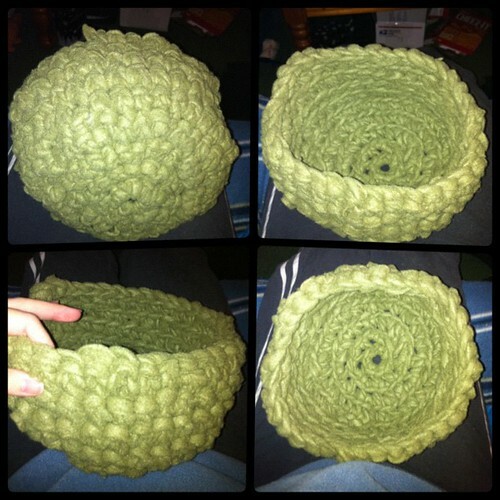 Today I took a scrap piece of fleece and cut it into one continuous strip then crocheted it into a bowl shape. This washable bed will hopefully become Harvey the rat’s favorite place to sleep. 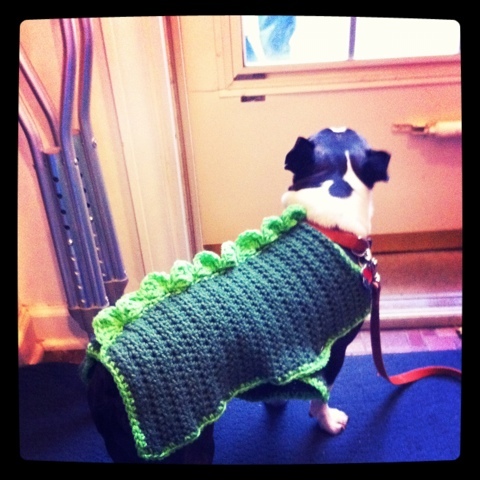 Pet accessories are so expensive which makes DIY projects like this all the more exciting when the work out as planned. Plus I find DIY things hold up better over time. I hope Harvey likes his new pet bed! Despite the accident, surgery and all the crazy, I managed to get Iggy Pup’s Halloween costume to a wearable stage of completeness. Unfortunately it was starting to rain and my ankle was quite fussy so Dinosaur Iggy wasn’t able to properly greet the Tricks or Treaters. We did manage to give out all the candy before the rain really started to fall and I was convinced by my ankle to return to bed. 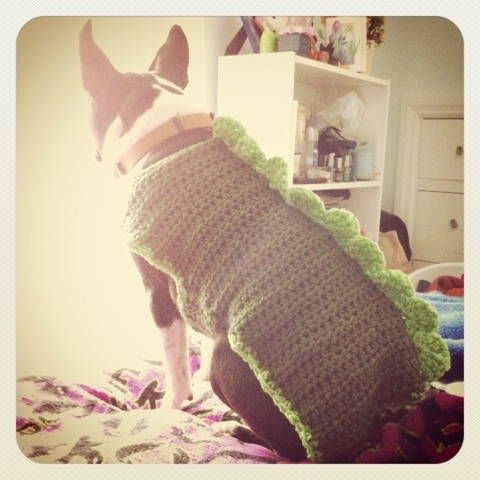 Iggy’s dinosaur costume is all crochet and done without a pattern using Red Heart Yarn. I’d say it was successful, wouldn’t you? Happy Halloween to you and yours! Take care and be well. Occasionally my budget stomps on my happy and I have to figure out ways to spice up my life without spending a dime. This project grew out of my insatiable appetite for deco tape (also called Washi tape). If you’re like me, sometimes spending money is harder to come by than a yeti in a ballerina tutu. 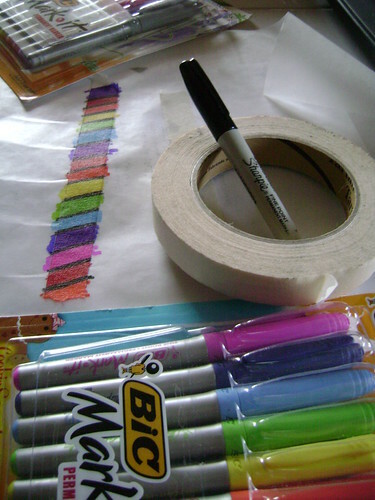 If you want some fun DIY Deco Tape to adorn your creative endeavors, grab some masking tape, wax paper and your permanent marker supply – It’s DIY Time! First step is to tear a piece of wax paper approximately the size of a standard sheet of paper. Actually the size doesn’t matter much as long as its large enough to hold the piece of masking tape you tear. 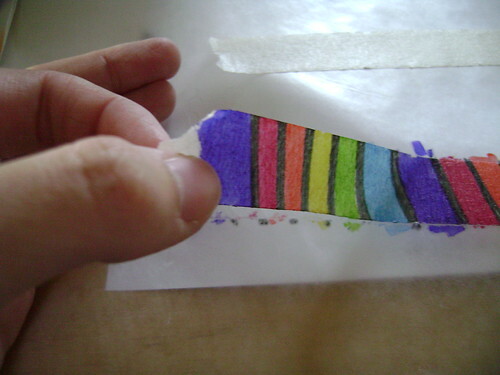 The next step is to tear or cut off a piece of your masking tape. Any length will do as long as it suits your needs. 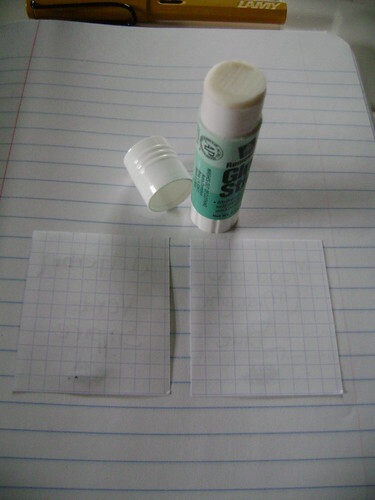 Now grab your markers and get creative. 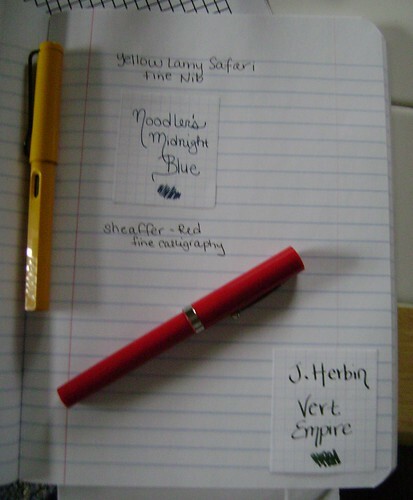 Try stripes, shapes, patterns, amorphous blobs of color, words… trace things, use stencils. 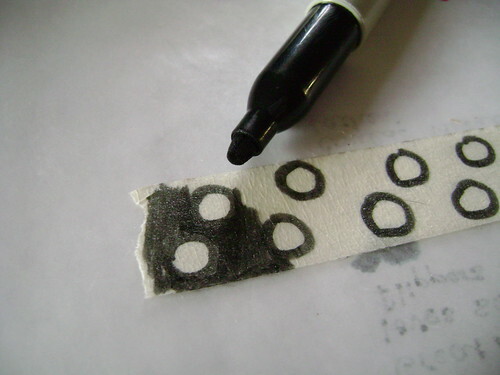 If you have permanent ink stamp pads, get stamping! I think its best to use permanent color. (Notice my disregard for staying inside the lines. My waxed paper is now decorated too lol). 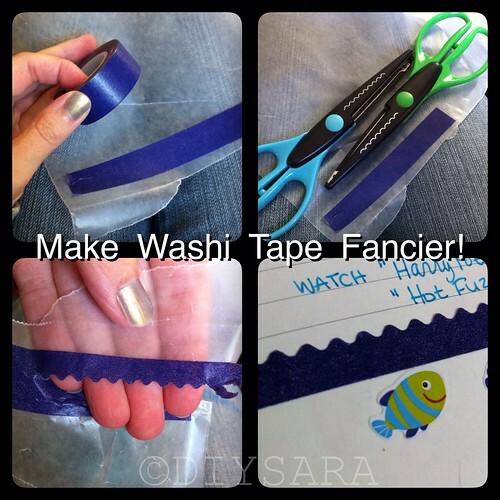 After you’re done decorating the tape, peel it off the waxed paper and go crazy with it. 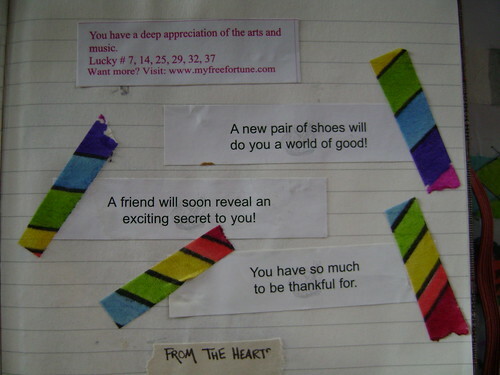 I cut bits off my tape and used it to tape some fortunes into my journal. Don’t feel trapped using it just one way – maybe grab some decorative edge scissors too! 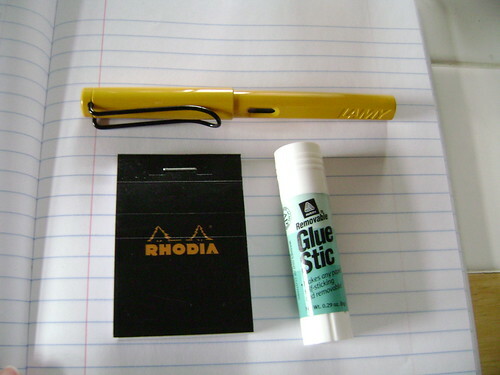 I’ve thought of using a small piece of wax paper cut to size of my day planner to keep some DIY Deco Tape close at hand. You never know when you might have to brighten up someone’s day – even your own. I loved using my first two pieces on a package I sent out. Doesn’t the envelope look much better? Currently I’m hoping to get different widths of masking tape. 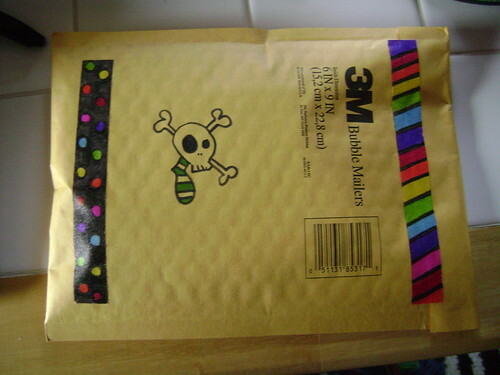 Wouldn’t a package look adorable with some brown kraft paper and tape? The holidays are coming up really fast and I bet I could have some fun. I hope this inspires you. Please leave a comment if you give this a try. I’d love to see what you come up with! Be well.